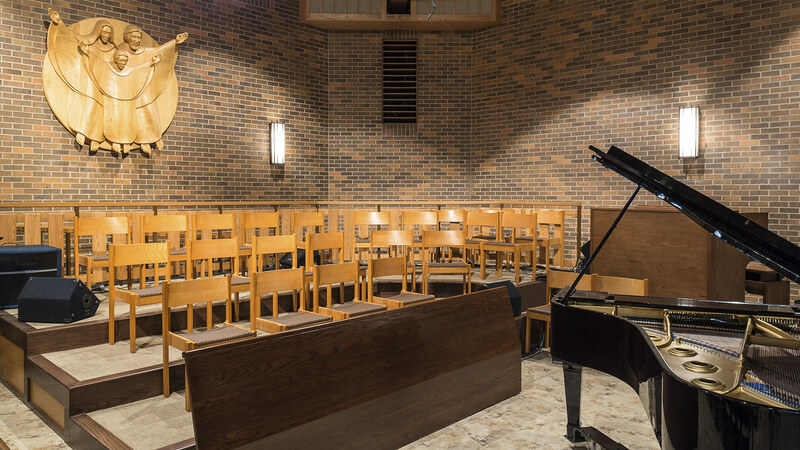 This project included a complete renovation of the nave and narthex, as well as renovations to the east and west entry corridors. 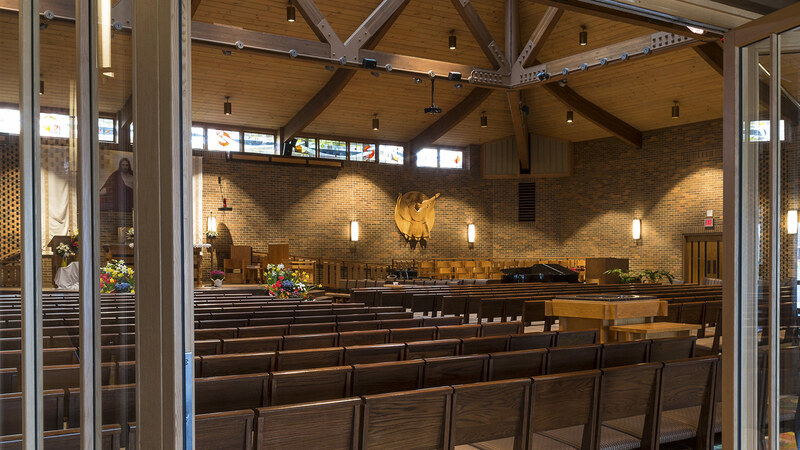 The nave and narthex received new flooring, a larger altar platform, new choir riser area, accessible ramp, new congregation chairs, and new entry doors. The entry corridors themselves have new ceilings and light fixtures, new flooring, and upgraded bathroom fixtures. New walk-off carpet in east and west lobbies helps reduce the amount of snow, dirt, and mud tracked into the rest of the building. 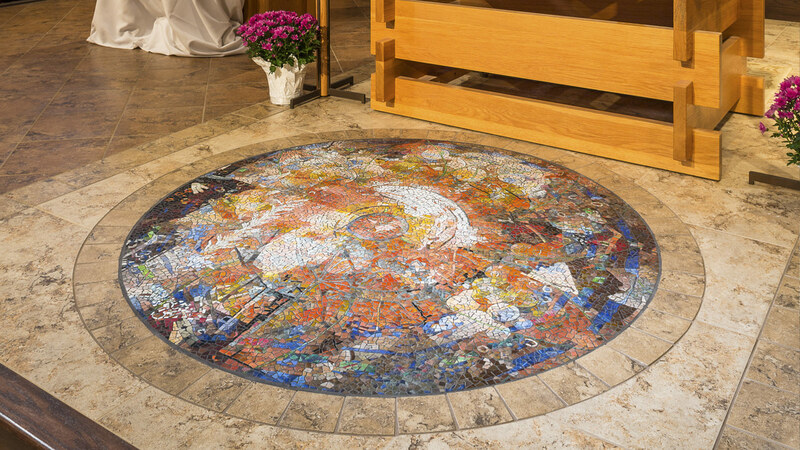 Within the worship area, three floor mosaics from renowned artist Scott Parsons represent various stages along the faith journey. 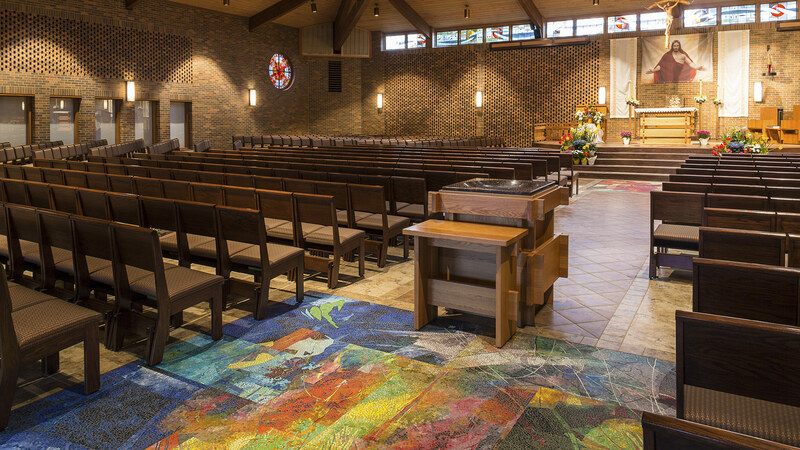 Parsons’ custom pieces were integrated in the master vision for the project and earned a 2015 International Religious Art and Architecture Design Award. Founded in 1978, the competition is cosponsored by Faith & Form magazine and the Interfaith Forum on Religion, Art and Architecture (IFRAA), a Knowledge Community of the American Institute of Architects. 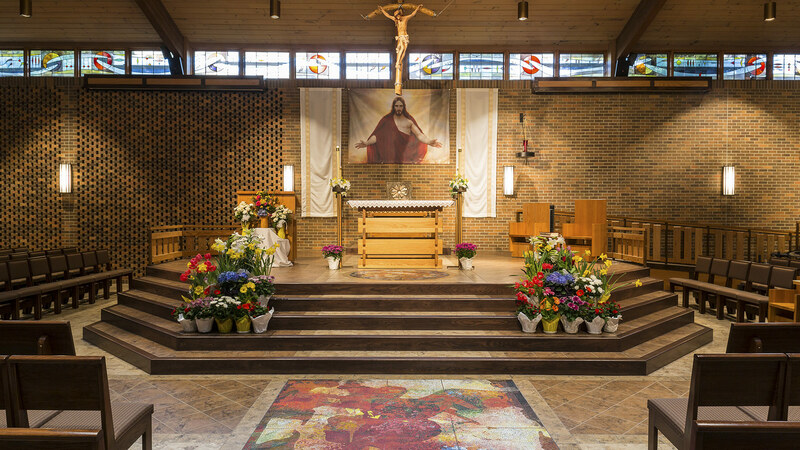 Those who enter the sanctuary first see the mosaic at the foot of the baptismal font. Its field of blue suggests a body of water and contrasts vividly with the orange and red tones in the foreground. At the front of the church, the second mosaic depicts St. Michael the Archangel himself. A casket placed here during the funeral Mass is framed and protected on either side by St. Michael’s unfurled wings. The third mosaic is directly in front of the altar. Wheat and grapes depict the bread and wine of the Eucharist, and the circular shape surrounds couples as they stand to recite their wedding vows. 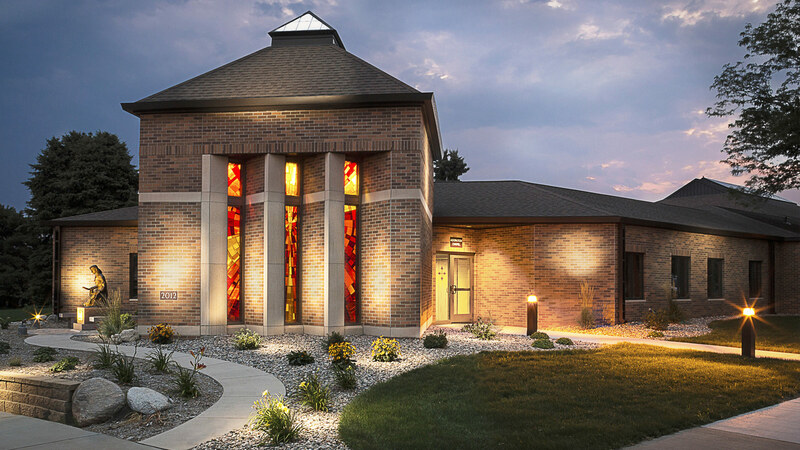 Prior to this project, TSP completed a 5,500 sf expansion/renovation to add the Adoration Chapel and update church offices. A separate project remodeled 420 sf of kitchen space. Those earlier efforts involved many of the same design-team members as the sanctuary project.